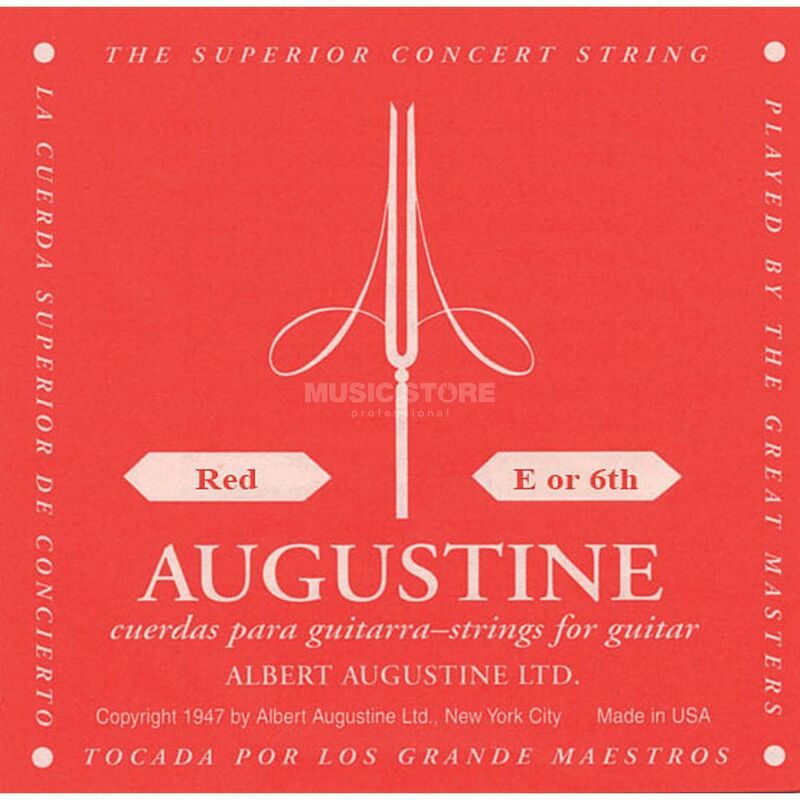 The Augustine Single String, 6e Red is a medium gauge copper wound 6E classical guitar string. Augustine Classical Strings are designed to give you endless possibilities that will best suit your particular needs. The best way for you to decide which of our strings sets will sound best on your guitar is simple: try them and let your ears be the judge. Match one bass and one trebles set.